Business branding is a necessity. Not only does it help people to identify your business, but it also helps with the necessary promotions in order for your business to succeed. Branding encapsulates a lot of different aspects that a customer gets to experience with your business, from products and services to the different packaging, your website or how you answer your customer’s inquiries, and most importantly your business’ logo. Speaking of which, logos are what truly identify and set your business apart from the others. It has the ability to let people easily identify with who you are and distinguish you from the so many emerging businesses now. Also, logos can be easily communicated to different people through different promotional mediums. It can be attached to a box, to your stickers, or be even placed on your brochures, flyers, video or photo ads, and so much more. Logos vary from one business to another. It can be an image with subliminal messages or a blatant and straightforward text of your business’ name. 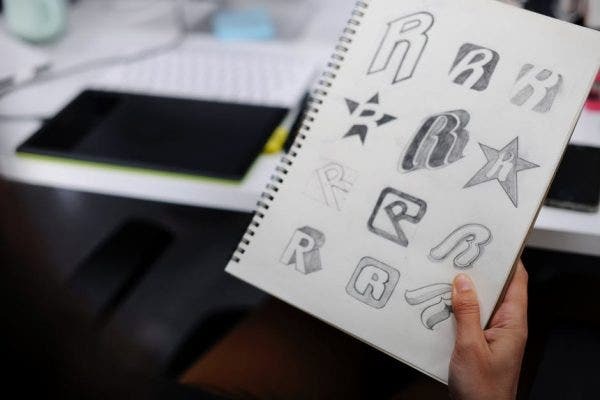 How you want your logo solely depends on what works for you and what best suits your preference. In line with the text-based option, there are various ways to achieve that logo. You can have it made professionally or you can simply base it off from alphabet outline templates, with which can be used to perfectly layout and create the logo of your business. 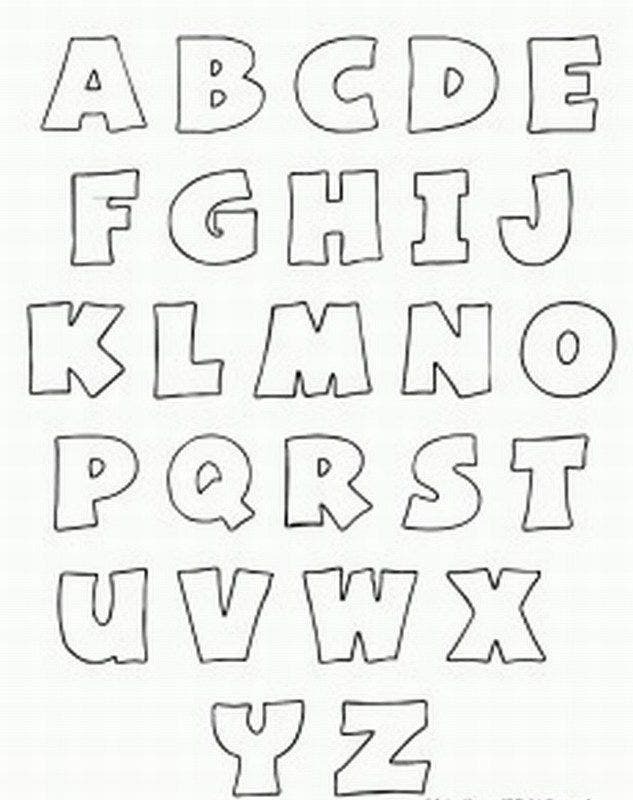 With that said, here are different alphabet outline templates you can use for your business’ branding. An alphabet outline template can be used for business purposes to effectively help a business with its branding. It can be used to create a business’ logo to effectively identify itself to its market and to also use for the different promotional mediums a business will use to further its reach in the market. But, aside from using it in a more business standpoint, which is by using it as a logo for your business, alphabet outline templates can also be used in different ways. Ways that can truly make the most out of the medium. 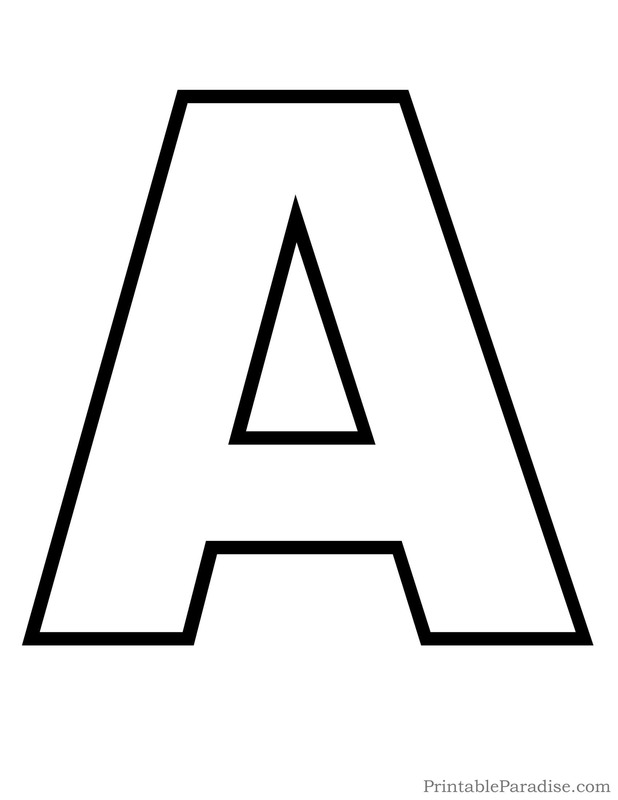 One of the most effective ways to also use an alphabet outline template is by using it in a more educational manner. There are tons of ways you can do so and that is by ensuring that those who will benefit will truly take something out of the medium. Such ways can be a set of flashcards (e.g. 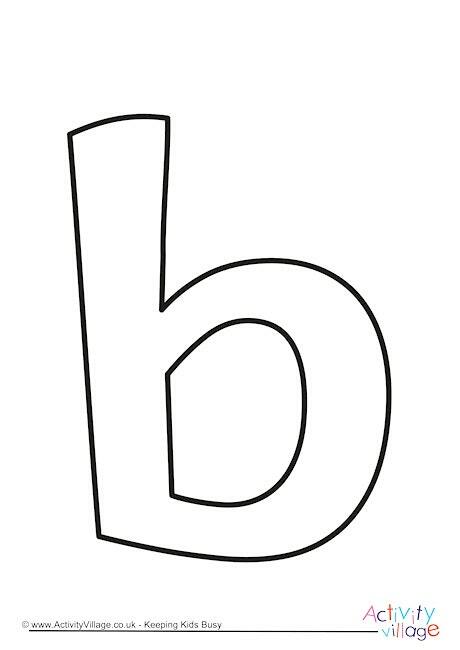 alphabet flashcards) that can be used to help teach kids, especially those in their earlier stages, about the alphabet letters. Or, use to teach children about different words that can be easily spelled out and understood. 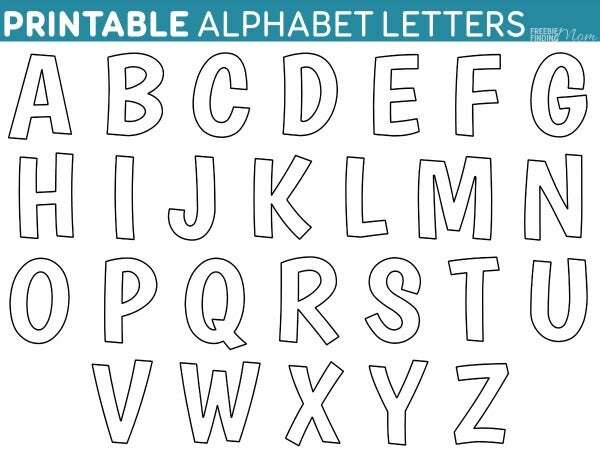 With an alphabet outline template, you can just easily print letters out and prepare it in a way you prefer to educate the children. However, you opt to do it, an alphabet outline template will surely help realize the endeavor. One of the other ways an alphabet outline template can be used effectively is by using it as design elements in any kind of event. You can use it as a signage to inform guests for whom the event is and what the event is all about. It can also be used as a welcome signage or directional signage informing guests about certain designations in your event. There is simply just a lot of ways an alphabet outline template can be used for design purposes, most of which simply depends on where your creativity will take you. The basic consensus of having a business is to provide different products and services that cater to different people. And in order for your market to be aware of what it is you offer, you will need to have a logo to go with it as they are vital to a business, branding in general is vital to a business. Not only do they inform people, but they also serve more purposes than just the basic that is identify your business to your market. The primary advantage of having a logo for your business is that it identifies itself to the people or your market. It simply allows for them to know which one is your business and even when the name of your business is not attached to your logo, it still has the capacity to help your business identify itself to the people. Prime examples for this are giant sports brand like Nike and Adidas, both of which do not have their names on their logos, but is easily recognized by people when confronted by their famous logos. When your business’ logo is well-designed, it has the power to attract and entice people to give your business’ offers a try. And in cases when it is, you will be able to generate a set of clientele that has the potential to be loyal patrons of your business, ultimately helping you generate more revenue in the long run. Since a logo serves as your business’ identification, it can, in a way, help with making your business stand out from the others. What more when it is designed in such a unique way, where there is not like any other logos as what you have, which can greatly help with making your business stand out. A great example for this is the Starbuck’s logo, who would ever think that the logo with a mermaid holding its tail is that of a coffee company? That deviation alone, helped Starbucks become unique from its competitors. Logos are what reminds your customers of your business, and if all throughout the years you will retain the same logo, it assures the loyalty of your customers to your brand. But in cases when a business decides to change their logos for various reasons (i.e. update their looks or reflect some major corporate changes), it has the possibility to lose the loyalty of some customers because of the readjustments to be made. However, when your logo is still recognizable to your target people, then there would be no problem maintaining their loyalty at all. The beauty of a logo is that it can be appended to any promotional medium for your business. You can attach it to your packagings, to your advertisements, and to almost anything your business encapsulates. It just makes everything a lot easier for your business and more importantly, makes your business get closer to its goals. Businesses should not take logos for granted as they have the capability to sustain the business for the long run. It can provide benefits that will help any business meet its goals and most importantly achieve its vision and mission. Branding is vital and so should be your logo. If you find this article helpful in anyway, do not forget to bookmark this page for future references. And, kindly share this with other individuals seeking the best alphabet outline templates to use for their businesses and corporate endeavors.